In this tutorial, I will explain a simple method to find the most retweeted photo of any Twitter user. 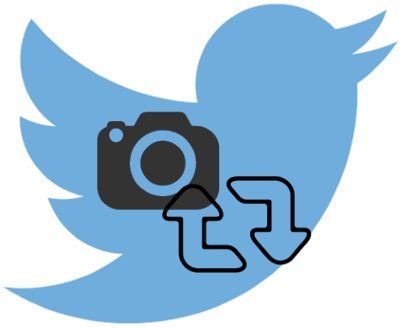 I am going to use a free website called FollowFly which can extract the most liked and retweeted photos of any Twitter handle, including yours. It also lets you find the most retweeted photo by day, week, and year. The best part is that you can also see top most retweeted and liked videos of a Twitter handle. It is completely free to use and there is no limit on the number of searches. Also See: How to get a count of Twitter followers by location, 5 Free Twitter username generator websites. 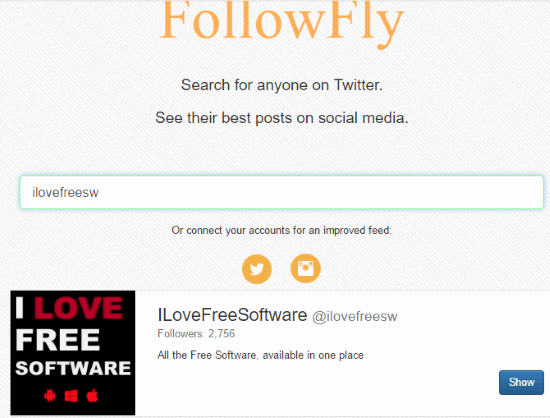 Step 1: Visit FollowFly from the link at the end of this tutorial. There is no need to log in or create an account to see best media tweets of any Twitter handle. However, if you wish to see your Twitter feed right inside its interface, you can connect your Twitter account with it. Irrespective of whether you have connected your Twitter account or not, you can find tweets with the most number of likes and retweets of any Twitter user. Simply, enter the Twitter handle name in the search box and hit the enter button, as shown in the screenshot below. Step 2: It will then display the Twitter handle description and other details, as shown in the screenshot above. Click on the show button to see the most liked tweets of that Twitter user. By default, it will show the most liked tweets (all types) of that user within a month. Now, in order to see the most retweeted photo of that user, you have to apply the filters, as shown in the screenshot below. Select “Most Retweets” from the “Order By” to see the most retweeted tweets at the top. 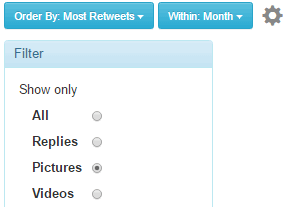 After that, click on the “Settings” icon and select “Pictures” to just view the most retweeted photos. Well, if want to see most retweeted photos for a day, week, and month, apply the “Within” filter. In case you want to see the most liked or retweeted videos of that user, click on “Videos” option. Step 3: The very first photo in the tweets feed is the most retweeted photo of the specified Twitter handle, as shown in the screenshot below. In this tutorial, I explained a simple method to find the most retweeted photos of any Twitter user. This method lets you find the top liked and retweeted tweets of any Twitter user, including the photos and videos. 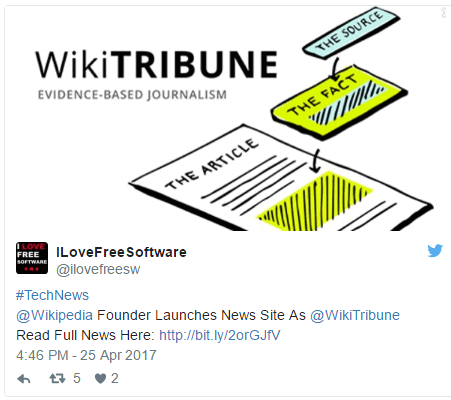 So, if you want to analyze media tweets of your competitors, then you should definitely check out the website mentioned in this tutorial as it is completely free to use and will let you see most liked and retweeted tweets at one place.